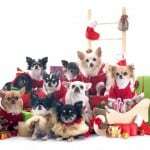 We all love our fur babies and want to keep our Chihuahuas happy and healthy. That’s the reason for this article. A lot of these items are perfectly safe for humans, but not for dogs. 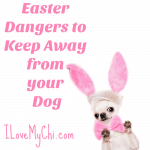 I want you to be aware of the possibles dangers out there and how to protect your precious Chi. Most people know about this but just in case you didn’t, never let your dog eat chocolate. I have personally lost a beloved beagle because he got into a large chocolate candy bar without our knowledge. The only way we knew this is what killed him is that he had an autopsy. It was a horrible experience and one I don’t wish on anyone else. 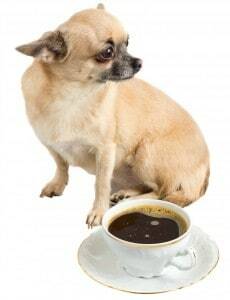 Caffeine in coffee, soft drinks or anything else is toxic to dogs and can be deadly. It’s often sold in garden centers and just like chocolate, it can be deadly if ingested. 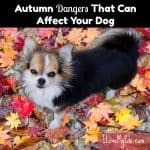 Some of these can be fatal if your dog gets into them. There is a danger too if these things get on your dog’s feet and they lick them off. 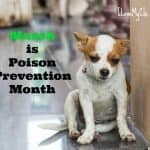 Even if you keep the pesticides away from your pup, if your dog finds a poisoned rodent and eats it, he will also ingest that poison. For a small dog like a Chihuahua, it can be fatal. These are sometimes used to de-ice your car windshield. Once they get on the ground, your dog can get the residue on their paws. When your dog licks his paws, he ingests the poison. 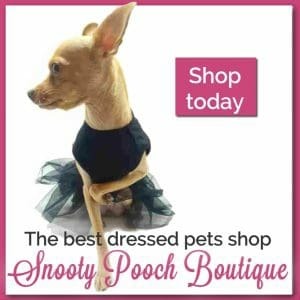 Keep booties on your dog in the winter if you live in a cold climate. Antifreeze traditionally had a sweet taste that was attractive to dogs. Recently manufacturers have voluntarily added a bitter agent to the antifreeze to discourage animals from trying to drink it. Be aware if you have any old bottles of antifreeze stored in your garage that it doesn’t have this agent. Antifreeze is highly toxic to animals and will kill them. You may not know what Acetaminophen is but I’m sure you probably know what it is by it’s brand name which is Tylonel. It’s toxic in dogs. In fact, many medications that are fine for humans are toxic for pets so be sure to keep them out of their reach. One grape may not hurt your dog (unless your Chi is a puppy or very tiny) but a handful or more can cause liver and kidney damage. Avocados contain a substance called Persin which is mildly toxic to dogs. Bread dough contains yeast which if it is ingested, it can cause serious illness and sometimes even death. Of course we would not eat moldy food. But your dog may find it in the garbage and eat it. Moldy food contain Mycotoxins which will make your dog ill, if they eat it. Although nuts are a healthy snack for humans, they are not for dogs. Many varieties of nuts can cause some problems but Macadamia nuts are the worst of the lot. Onions in any form (cooked, raw, onion powder) contain thiosulphate which will cause dogs to develop a serious type of Anemia several days after they eat the onions. Garlic is also toxic but to a lesser degree. These bones tend to be very brittle and sharp and can cause serious injury to your dog’s digestive system. Xylitol is a sugar substitute often found in chewing gum, breath mints, candy and some diet foods. It’s extremely toxic to dogs. Beer, wine and hard alcohol are all no-nos for your dog. It doesn’t take much alcohol to cause alcohol poisoning in a small dog. The fruit itself is fine but the pits contain cyanide, which is of course a poison for humans and animals alike. Just like with plums and peaches, the apple itself is not toxic but the apple seeds do contain cyanide. The Amanita mushrooms has about 600 varieties of mushroom in it’s family, all which are toxic to dogs (many are toxic to humans too). 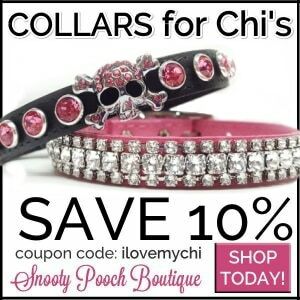 I love my Chi….but to say coffee and soda> both my chi’s have had coffee and pepsi with me their whole lives and are 100% fine…Well my male was put down at the age of 8yrs because he got hit by a truck…. They don’t even get a 1/2 cup of either one a day….but they both got it everyday…and the vet didn’t have any issues because they were healthy….I don’t give it to my female as often as my male drank it but she still loves it when she does. She’s never had a seizer or any other health issues. I know I wouldn’t give them a whole cup on their own because that’s just way to much at one time but….a little here and their doesn’t seem to hurt them. I don’t know what to tell you Kim. All I know is that we lost a Beagle because of a caffeine overdose and every vet I have ever talked to says it’s toxic to them. I wouldn’t take the chance personally. Kim has just been lucky. Too much will kill them. And who knows if it builds up? I used to feed my dogs M&Ms but now that I know the dangers, I don’t. Yeah I have heard it does accumulate in their system Karen. Knowing from personal experience that it can kill, I will never allow my dogs to have it. You are very welcome Sandy and Maddie! I had a problem with my Chi. and the backward sneeze until I realized that she is allergic to Peanuts. and she had no attack. As the week went on she would dance for peanuts and I gave them as a treat. Soon after, the backward sneeze began again. I stopped and so did the problem. That’s good you figured out that peanuts were causing the problem Elizabeth. I am a vet and a little caffeine like a tablespoon will NOT harm your dog,horse,cow,or even pig! 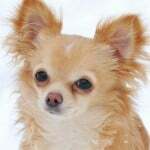 Even for small dogs like Chihuahuas Jen? It was my understanding that caffeine could build up in their system over time. All I know is we lost a sweet little beagle because he got a few candy bars that we didn’t know about so anything with caffeine is off limits for my dogs. Not every kind of mulch is hazardous but plenty of them are. If there is ever anything that could be of danger to my baby I go to all lengths to avoid it. Just because your pet has never had a reaction does not mean someone else’s might not. If a vet has said not to do it, DON’T do it, why risk your dog’s life? Mine is my baby, and I would never put him in harms way. I just want to say I always love your articles. Very informative, adorable pictures…but mostly appreciate the way you respond to commenters and always in such a kind way. 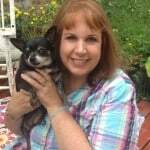 Thank you for your love of Chihuahuas. Thank you Leah! That means a lot to me! 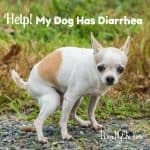 My chihuahua, Cocoa (8) , got into moldy scrambled eggs. She had pooped everywhere and then started having seizures. AFter projectile vomiting the seizures finally calmed down. Thank the good Lord that this wasn’t the end. She’s since recovered and is still the little ole grandma of the bunch. Oh wow! Poor Cocoa! I’m glad she recovered. Just adopted my first Chi and he is a rescue. I desperately want to train him, Sid, and he is very responsive but I have yet to find a treat that he loves and that he does not spit up. He is allergic to chicken. Never thought I would own a Chi (always had collies) but my husband and I are absolutely in LOVE with Sid! Congratulations on your new little guy Shawnee! Is he okay with beef? You can cook up some hamburger, drain it and break it up into little bites for him and just keep a bag in the fridge.